You know how I love myself some Guerlain. 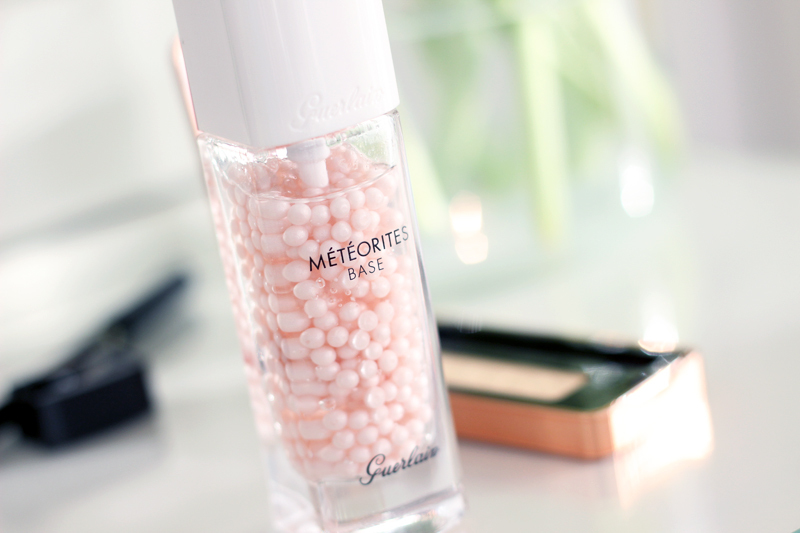 I fell head over heels for their Météorites powders about four years ago - my first one was the Emilio Pucci edition. Four tubs later, that love is still going mighty strong. I am not giving up! With spring still seeming miles away (seriously, how COLD and wintery is it now? ), I've been patiently waiting for better and warmer days. After Christmas, there's seriously no enjoying winter time anymore. To cheer ourselves up: a dose of the Guerlain spring collection! 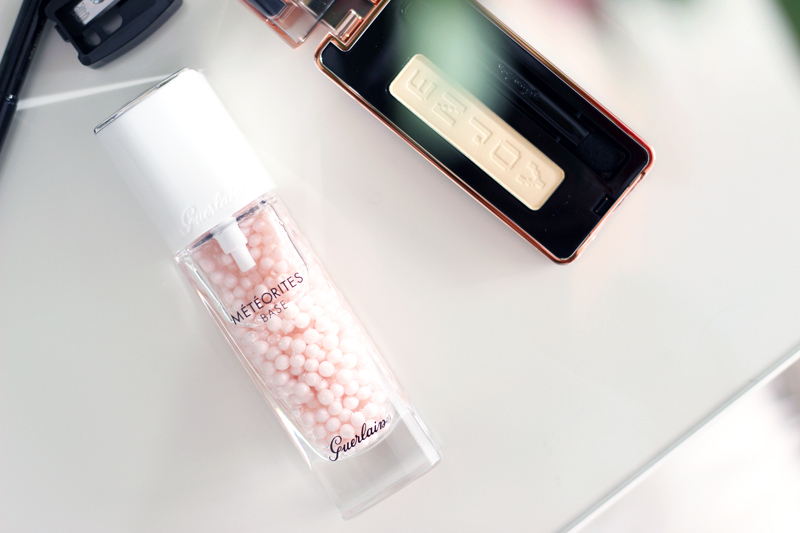 I had already read good things about the Météorites Base Perfecting Pearls primer, but hadn't given it a go yet despite my fond love for the Météorites powder pearls. Guerlain reformulated & repackaged the famed primer for this spring season & I of course happily gave it a go. 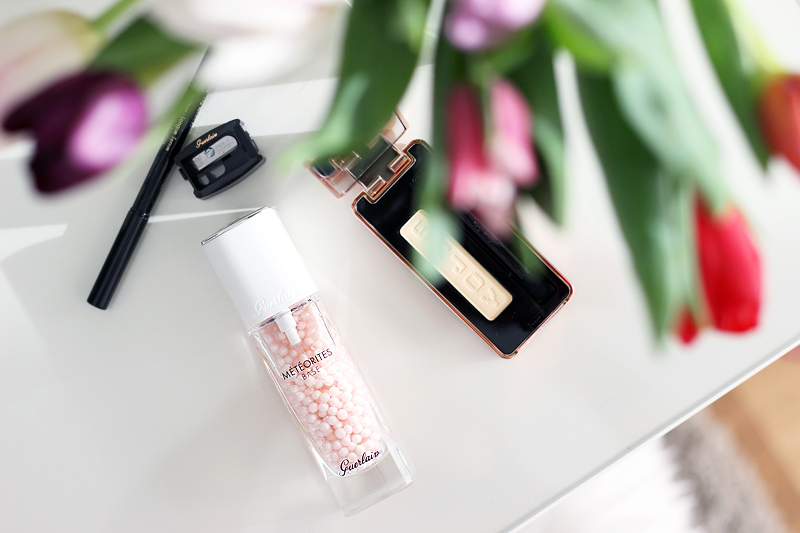 This limited edition for spring contains soft pink pearls instead of white pearls, which adds a soft glow to your complexion. Once you press the pump the pink pearls are crushed and mixed in with the gel primer so create a beautiful illuminating (but still also mattifying!) primer. The primer is high on glycerin (and as Nikkietutorials keeps saying: glycerin is great in primers) and also contains silicone - a combination I love to use underneath makeup. This will keep combination & oily skin tones under control, but will add a little glow in the meanwhile too. 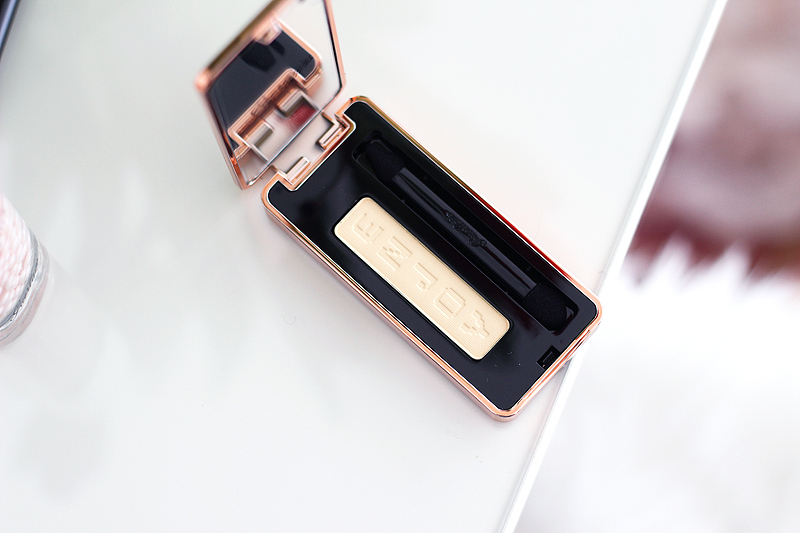 I've tried many mattifying primers but always find that they leave my face so flat-looking.. I definitely need a little glow to look (&feel) awake! The collection also contains a few other happy colourful products such as a blush that says "SMILE" and an eyeshadow that has "ENJOY" printed on it. I got the eyeshadow mono and while the packaging is super pretty and the pigmentation is very decent, I don't see myself using this colour.. It's too yellow and not luminizing enough to use as a highlighter around the eye area, and not the right shade for me to incorporate into an eye look. A matter of personal preference! The blush definitely looks more wearable, and knowing Guerlain face powders.. it should be a good one. Guerlain is also introducing their new Le Crayon Yeux Water Resistant Long-Lasting Khol Liner in this collection, a completely new all-in-one creamy and pigmented eye pencil that combines the benefits of a liner & khol pencil. They come in five shades and should make it to the permanent collection. For shades reference, Temptalia reviewed two of the shades here.